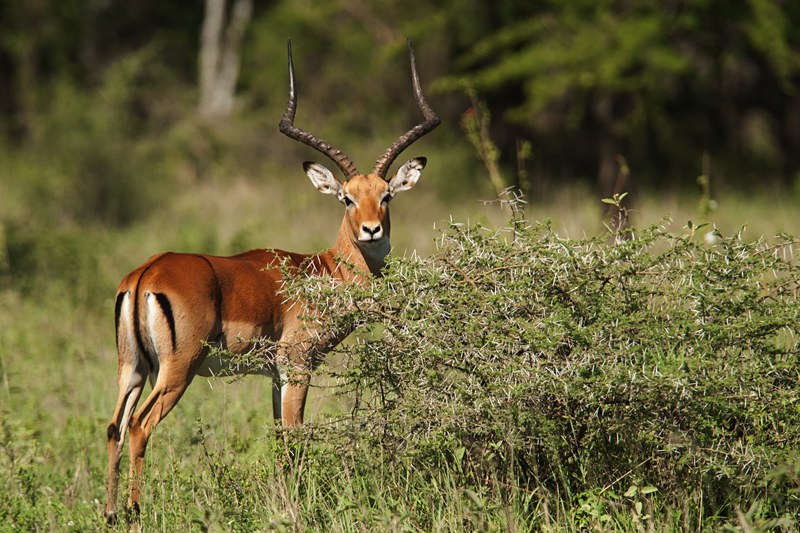 It is interesting to watch male Impalas. Especially when there are two males guarding their territories separated by just the safari road. The staring and posturing make for lovely portrait images. 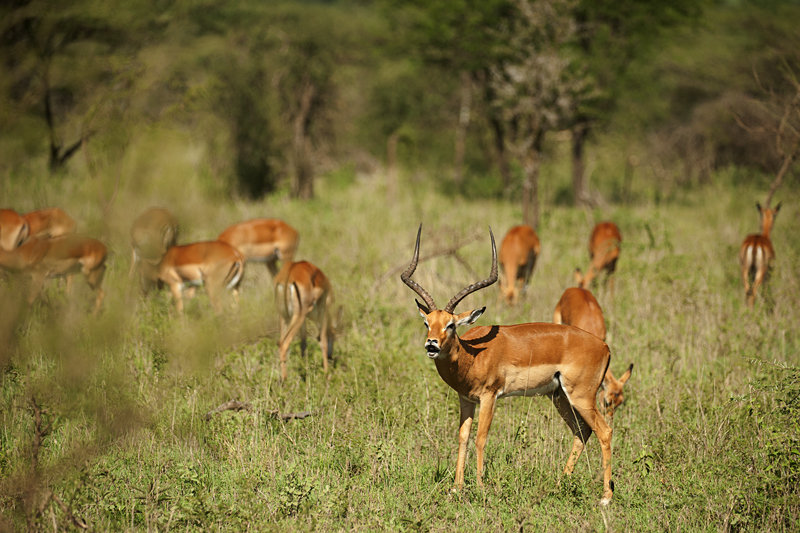 This display takes a different turn when a herd of female Impalas move from one male’s territory to the other. 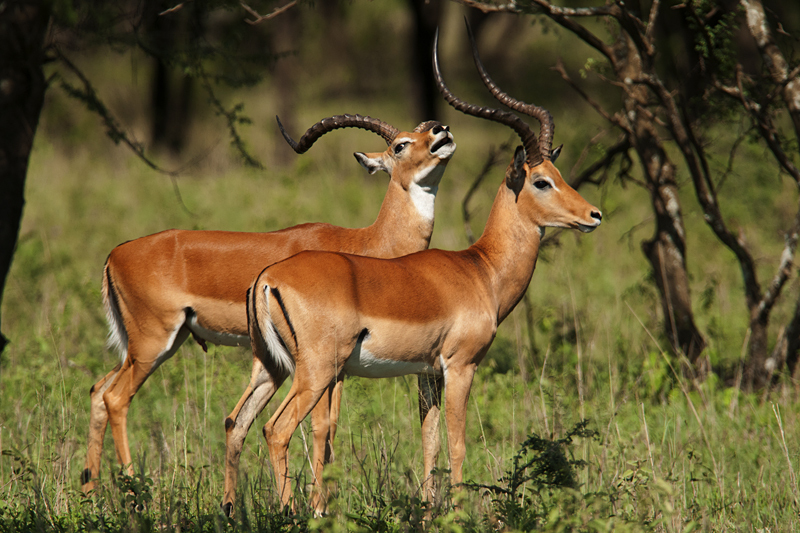 The Impala who is losing out on the females, crosses the territorial boundary to confront the other male. He does this to get the females back to his territory. The second male is obviously not going to let this happen. And he defends his territory and the herd of females with all his might! The display of dominance amongst wildlife always make an interesting experience. Of course it goes without saying that it pays to stop and look for these interesting behavior in mammals while on an African safari. 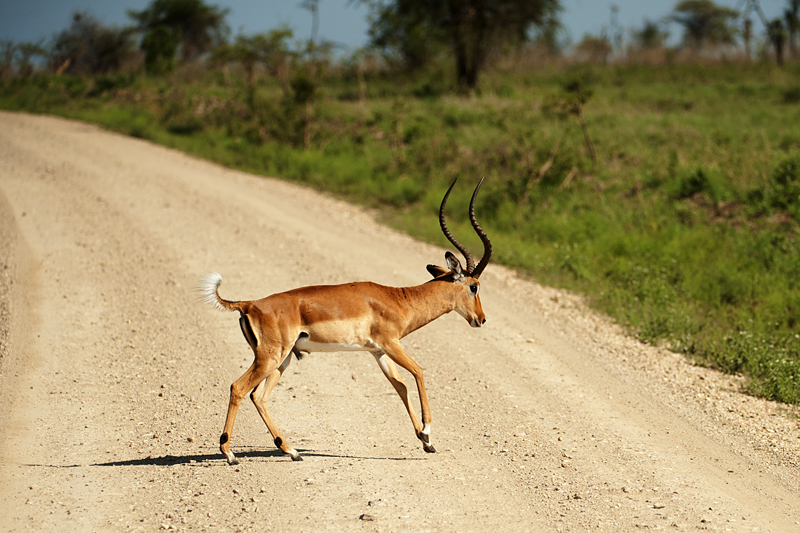 In the first image, the Impala who is losing the female herd charges across the road into the territory of the other dominant male, while it looks on. When the charge turns into a threat, one ends up observing a display of dominance, as is seen in the third and fourth images. 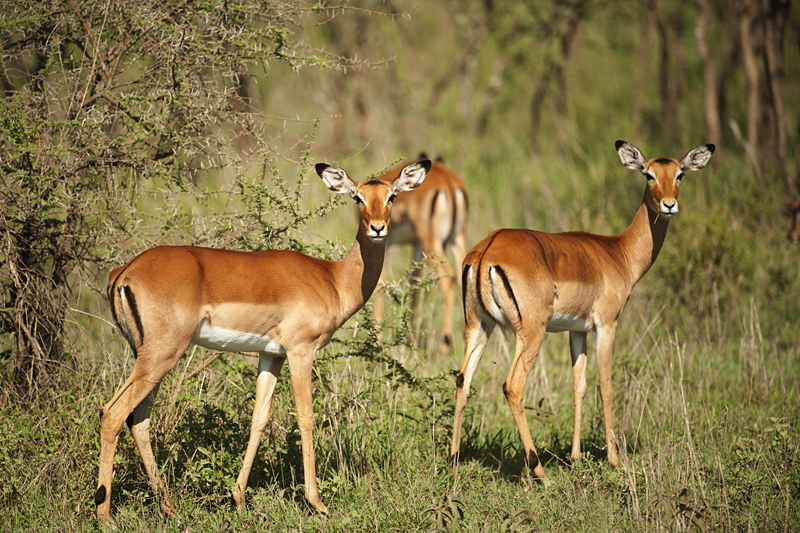 The last image shows the female Impala spectators watch the outcome of these confrontations in amusement. Really interesting behavioral study you have presented here, Thomas. Love these wonderful wildlife photographs.